I checked the myNoise microphones against a Shoeps MS setup. I have to say, the myNoise microphones sound good! Felix Blume. myNoise Plug-In Powered RCA microphones are sold as matched pairs, for USD 650 (+ shipping) or EUR 490 (+VAT +shipping). They each come with a windshield and a protective pouch, the matching frequency response plot for the pair, and a three-year warranty. Each microphone is labeled with the owner's name. 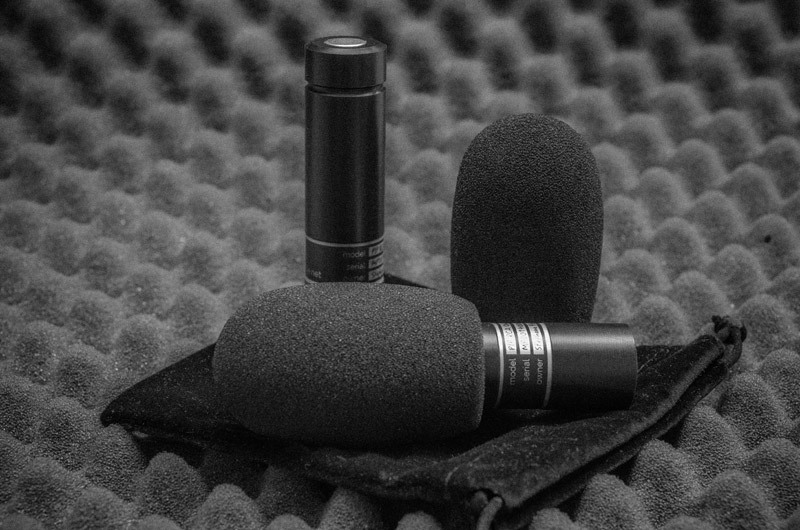 myNoise microphones are built in small quantities. If you are interested in buying a pair, please contact me by email at . In order to connect them, you will need a simple Y Audio Cable : a stereo mini-jack plug (male) at one end, and two male RCA/Cinch plugs at the other. These cables are easily found in any shop selling audio goods. They come in various qualities, and lengths, and are often used to connect your portable audio device to your hi-fi equipment. You will also need a portable recorder, which sends plug-in power through its microphone input; most portable recorders nowadays do. I recommend the high-end Sony Dictaphone ICD-SX1000, which I personally use (the SX733 is nice too, as is the discontinued SX712) but any of the high-end Dictaphones featuring Plug-In Power (PIP) will work fine. Most portable 'prosumer' field recorders made by Olympus, Zoom, Tascam, Yamaha, Sony, and Roland will work too. The myNoise microphones can be directly plugged into cameras and video recorders, as long as Plug-In Power is present at their microphone input. If you are unsure about the compatibility with your audio recorder or audio device, please ask me before you make your purchase. If you are looking for a cheaper alternative than the PIP RCA microphones, you might be interested in the mini Mics. 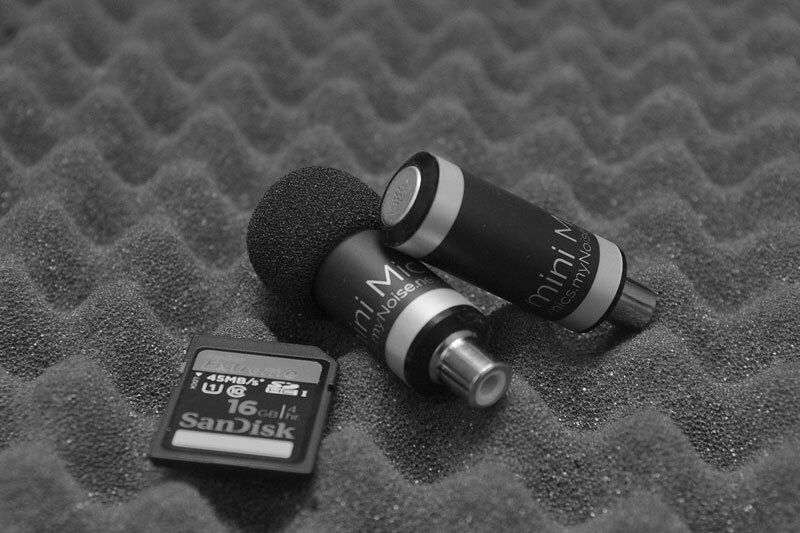 Mini Mics are sold as matched pairs as well, but with lower matching tolerances than the PIP RCA model. They are much smaller too, and lighter, which are ideal if you plan to carry those microphones in your pocket. They sell for USD 325 (+ shipping) or EUR 249 (+VAT +shipping). They come with miniature windshields and a protective pouch. The table below highlights the differences between the mini Mics and the original PIP RCA model.